A couple years ago, my husband and I took a trip to the PA Wilds. 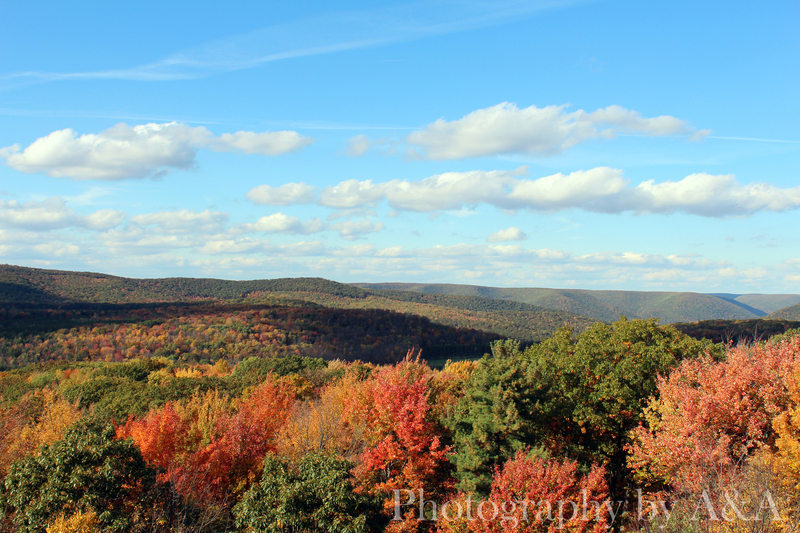 The area is breathtaking during the fall color change. You can see vibrant yellows, oranges, and reds. It’s really quite remarkable. And now that fall is on its way out, it seems like a good time to remember the beautiful start of the season. So enjoy these awesome warm colors while you can and get ready to bundle up because winter is right around the corner. The Outer Banks (OBX) in North Carolina is known for its beaches. However, it’s not the only reason people visit. OBX is made up of several locations. It’s 200 miles of barrier islands and each location has something to offer. In fact, one of the reasons people visit is for birding. The best places for birding in the OBX are: The Elizabethan Gardens, Roanoke Island Marsh Game Land, Jockey’s Ridge State Park, Pea Island National Wildlife Refuge, Duck, Ocracoke, Buxton and Frisco Woods. If you’re really interested in birds, you may even want to visit the annual “Wings Over Water” festival held in the OBX. It is a week long event that takes place in October. Although I don’t consider myself an avid birder or even an intermediate birder, I do enjoy watching them in their elements. Here are few photos we captured on our trip to Hatteras Island. This blog post isn’t about a particular place, it’s rather a look at macro-photography. This is a shot that my husband took a of couple years ago. 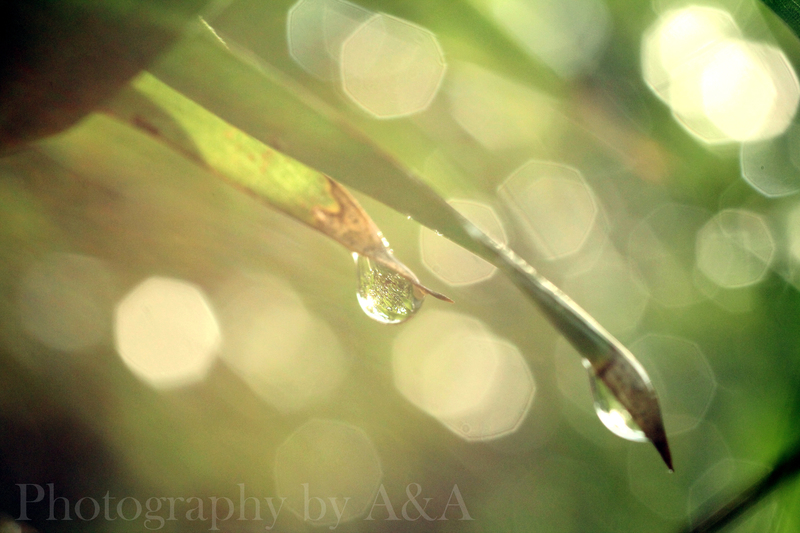 I like this photo because it shows the beauty in even something as small as a dewdrop. Do you shoot any macro photography? If so, what are your favorite things to photograph? One of the things I love most about living here is the constant wildlife. On a regular occasion we see birds, squirrels and groundhogs. We’ve also seen chipmunks, snakes and deer. But one of the coolest sights was when two turkey hens came wobbling through our yard with about a dozen babies. Unfortunately, I can’t seem to find any good photos of that on our memory cards. However, I did happen to find these three pictures to share. You’ll see a baby robin on our front porch, a blue jay resting in the backyard and what I believe is a garter snake in the grass. This lifestyle may not be for everyone. Living outside of town can come with its negatives like not being in walking distance to shops and it also comes with more bugs. However, it does have its perks, such as being closer to nature, having real bonfires in the backyard, less light pollution and seeing various wildlife. It’s the perfect location for a writer/hobbyist photographer. What I believe is a garter snake. Independence Day is one of the four federal holidays of the year. It’s celebrated because in 1776 the 13 colonies became free of British ruling. The document wasn’t ready until July 4th. However, it was actually voted on July 2, 1776 and they didn’t ring the liberty bell until July 8, 1776 when they did the first public reading. Every year since, the holiday has been celebrated. There’s been music, parades, speeches, readings and even artillery salutes (back when cannons were a thing). However, one of the most famed celebrations is that of fireworks. For me, Independence Day isn’t the same without a few fireworks, even if they are the small kind, as long as there is some kind of sparkle. The other thing that marks the holiday is my family reunion, which has been long going (now at 102 years). It was started more than a lifetime ago in 1913. It’s a bit of a drive to get to the reunion and quite honestly I only know a few people. But, I have fond memories of the past reunions. Growing up I’d look forward to visiting the carnival (on the same grounds). There was also the cake walk and children’s games. I remember meeting over at Grandma and Pap’s house and all piling in the car for the drive. However, now my husband and I drive together, as the family has gotten too large to all fit in one car. The drive is long, but the part that’s not spent on the highway is beautiful. There are winding roads and trees for miles. You also drive through quaint and outdated towns, a reminder of times passed. We looked up the local listings for fireworks and found some that were only 10-15 minutes away. They were to start at 9:30 pm and we had read that at 9:15 pm. So, we left pretty immediately and made it on time. However, they did start a few minutes early (which actually helped us find them). We pulled over in a grassy yard by a church, where several people had lined up with their camping chairs. There was something special about it. It wasn’t a huge crowd where we were stuffed together like sardines. We were there, sporadically placed through a large grassy field in what felt like the middle of nowhere. It was the perfect conclusion to our July 4th celebrations. Independence day is a reminder of our freedom and history. But, it’s also a time when family and friends gather together to celebrate with one another. What does it mean to you? What are your usual July 4th plans? A couple years ago my husband and I visited Stroudsburg, PA. It’s located in Monroe County, in the Poconos region. We toured the town and found some great eateries. 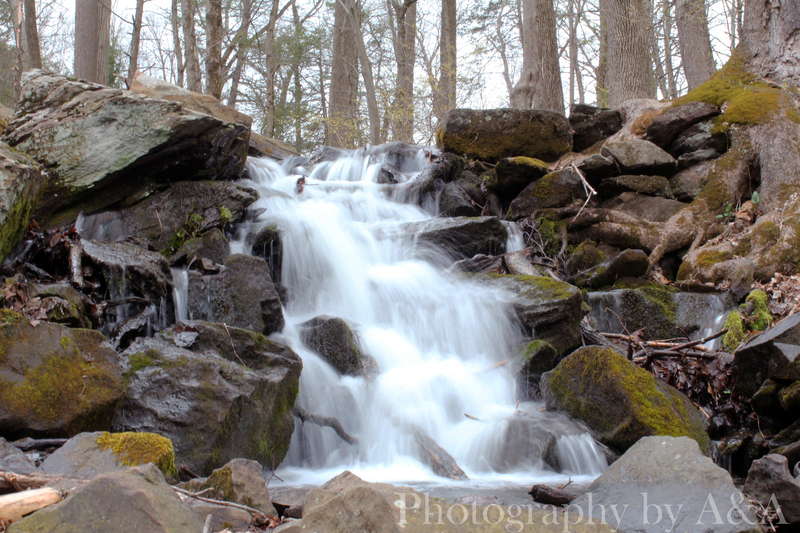 We also visited a couple local tourist spots, such as the Delaware Water Gap (located about 5 miles away). The area is popular among fisherman, paddlers, and hikers. In fact, the Appalachian trail runs through 27 miles of it. The water gap is 1000 feet deep (when viewing from above). However there are 70,000 acres of outdoors adventure. You can see natural beauties everywhere, from wildlife to waterfalls. If you’re looking to visit this state park, you can stay near by or camp right there. In fact, they offer riverside camping. Visit the Delaware Water Gap website to learn more.